Ralph was born in 1897 in Holywell, North Wales although by the time of enlistment, aged 18 he was living in Tasker Terrace, Rainhill. His occupation was that of a collier. Following his enlistment, he embarked from Folkestone to Etaples in France. Ralph was demobbed in January 1919. 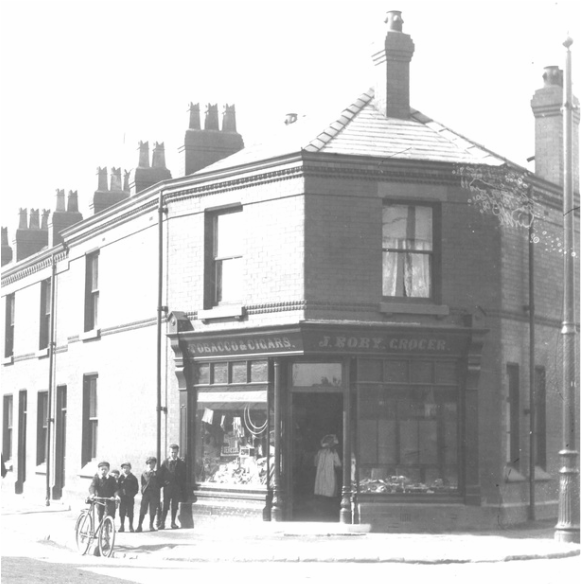 This photograph, taken at the beginning of the 20th century shows the shop on the corner of Rainhill Road and Tasker Terrace. Ralph may well have been one of the boys in the picture. All the houses were on the right hand side of this road leading to the railway.